Well loved beauties always are the most precious ones! 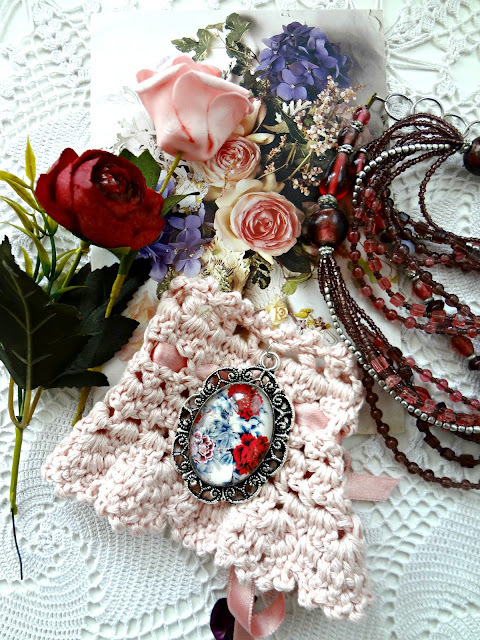 Crochet jewelery is always most wonderful ones. Your crochet cuff is like spring sun. With the pendant is very elegant.